This broad definition of tripod is universal. It covers more than just camera tripods. This article will help you understand what is a tripod for and which tripod head is best. The three legs of a tripod provide stable support. They give you much more support than you could possibly achieve than by holding your camera with your hands or by using a monopod. Tripods also improve your photography dramatically by getting you to slow down and compose your photo with more thought. This general definition should remind you that you can use tripods for more than just your camera. You can also use tripods for supporting other photo related items. The obvious main use of a tripod is to hold your camera stable. 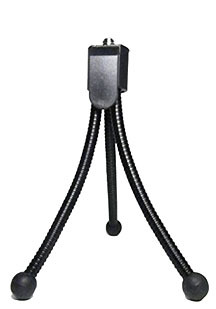 The stability of their design and various mounting options makes tripods useful to hold strobes and reflectors as well. Tripods for photography usually are collapsible, but there are a few compact tripod designs that don't have that feature. 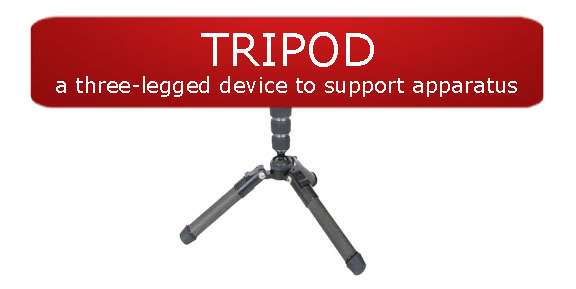 This definition of tripod doesn't give you a hint on how many designs and shapes of tripods we have to choose from. You can use your tripod to hold light modifiers, backgrounds, and flash units. 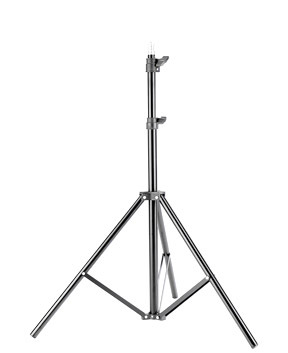 Light stand are really tripods too. They are just a specialized design for different equipment. The number of variations of specialty tripods has exploded. You can get low-level tripods for outdoor macro photography. How about a tripod that's especially ﻿good for travel. You can search for the best tripod for portraits. You can get tripod-monopod combinations. You can get tabletop, mini, compact, and flexible tripods. Would you like a tripod for beginners or maybe a professional tripod. There are even waterproof tripods for adventure photographers. Okay, let's talk about the most important tripod accessory. What is a tripod head? A tripod head definition would simply be the part of the tripod system that attaches the camera to the legs. Your use of a tripod without an adjustable head of some sort is very limited. 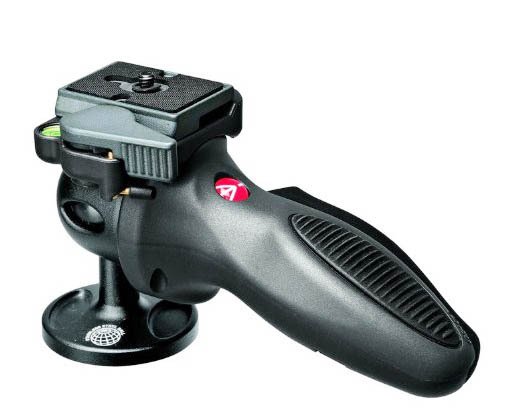 You can get video heads, 3-way pan and tilts, ball heads, pistol grip ball heads, and joystick heads. I grew up on pan and tilt heads. 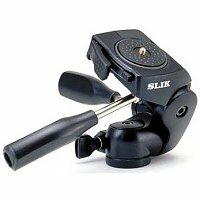 They are great for very heavy camera and lens combinations and for making very small changes in the exact direction you aim your camera. Pan and tilts are useful for extreme macro photography. Both joystick and pistol grip are super easy and fast to adjust. 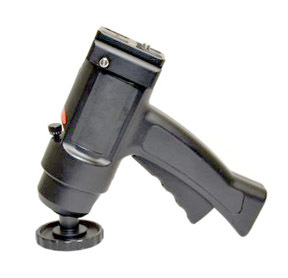 I used a vertical joystick head when shooting portraits for many years. Their biggest advantage is how fast you can release the lock, re-compose, and re-engage the lock for a quick change in composition. They're great for photographing moving objects like wildlife and energetic children. 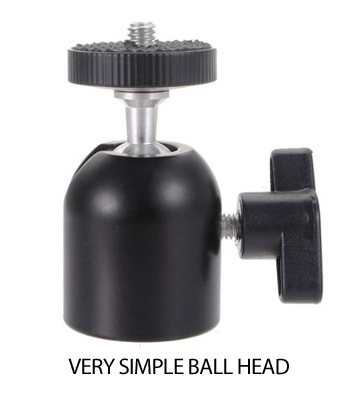 Ball heads have become the most popular of all tripod heads recently. You'll like how light they are and how well they're made. The trend in digital photography is toward lighter, smaller cameras. Ball heads are also smaller and lighter. I use nothing but ball heads when I am hiking and doing landscape photography. The simplest, and most important reason to use a camera tripod is to get sharp images. Your hands may be steady and you may have great technique, but you can't beat the sharpness you get when you use a tripod. 1. Weight support. Tripods will help you support heavy camera and lens combinations. Your arms can get tired if you have to hold a weighty subject for an extended period of time. 2. Prevent Blur. Even with help with image stabilization technology, long exposures can give you unsharp images. Long zoom lens settings tend to magnify motion blur. Nighttime photography and situations where the lighting is dim and you can't or don't want to use flash is the right time to use a tripod. 3. Shooting video. Tripods make video smoother. Whether you're shooting your kid's soccer game or birthday party, use the long handle on the tripod head. If you're like me ( and a lot of other people) you sometimes are in a rush to shoot that next photo. You see an interesting subject. You want to capture it right away, so you whip your camera into position like a gunfighter wanting to blow away his enemy. Tripods are also useful to get you to slow down and take your time when composing any photo. Everyone is always in a hurry to take a photo and move on to the next subject. Why not take one great photo rather than take a bunch of average photos? Moving your camera or changing the height of your camera even just the smallest amount changes the perspective and can also change how your photo impacts the viewer. Searches for tripods have not decreased as much as the searches for monopods have. I've been tracking the relative demand of photographers searching for information about monopods and it is only a fraction of what it was 7 years ago. The chart below, courtesy of Google.com shows the number of mentions of "tripod" over time. I have no idea of how such statistics can possibly be calculated, but I think it's pretty clear that tripods will be around for quite some time because of how useful they really are. They were certainly requirement for the early days of photography when exposures were quite long, sometimes several minutes. The early materials and processes of photography involved emulsions that were not very sensitive to light. Tripods are necessities in many situations and just a bit helpful in others. Whenever you have long exposures or heavy lenses, you simply can't shoot without one. 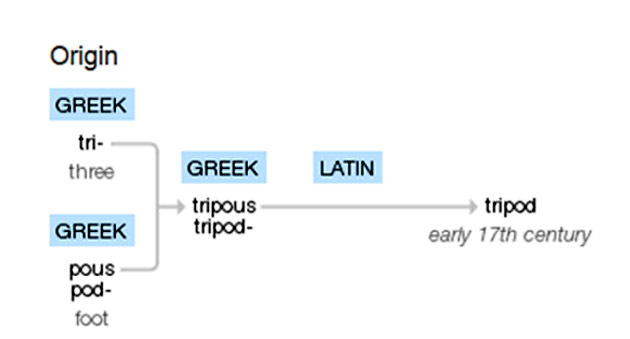 From the same Google search came this diagram on the origin of the word tripod. In my mind, I've thought of the "tri" meaning three and the "pod" meaning foot, with podiatrist (foot doctor) having the related meaning. Whether it's 3 long legs or 3 feet, you gain stability in picture taking situations. The definition of tripod is simple. Which is the best tripod and how should you use it are the more important questions to answer. No matter where you decide to buy your tripod, use the opinions of several photographers who've purchased any given tripod to help you pick the best tripod for you. Although the definition of tripod and the principle design is fairly simple, there really is no tripod synonym. The three legs gives you the various benefits of better stability. How much you use one will determine how much you can improve your photography. Here is the definition for a tripod from Collinsdictionary.com. 2. A stand or table having three legs. Human Tripod Definition The adult version of the definition referring to the large size of a man's magic wand.